A twenty-tens layout of PIERRE MALL. The only physical expansion to date involved the early 1990s enlargement of its south anchor into a Big Kmart (in gray). This added 46,000 square feet to the mall's gross leasable area. 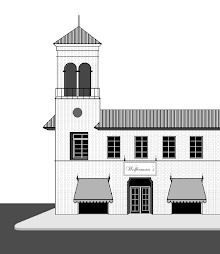 It now encompassed approximately 215,000 square feet. 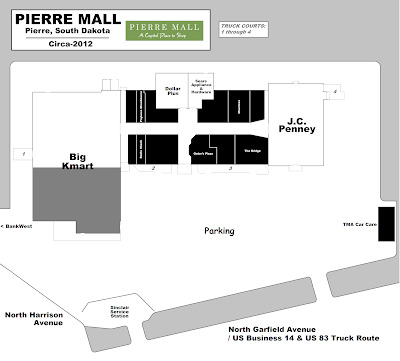 In November 2015, a new owner took charge and changed the name of PIERRE MALL to NORTHRIDGE PLAZA. Above we see the logo which accompanied this conversion.